Expert witness services including inspections, reports, depositions, and court appearances on behalf of clients, regarding Title II and Title III of the ADA. 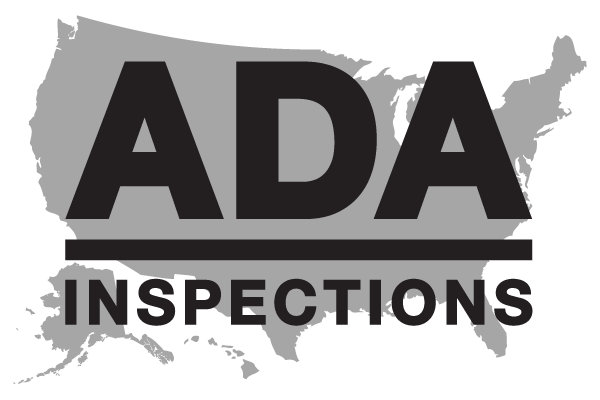 ADA Inspections Nationwide, LLC, (ADAIN) offers expert witness services for plaintiffs and defendents in disputes regarding Title II and Title III of the Americans with Disabilities Act (ADA). ADAIN can also provide services as an independent mediator in ADA disputes regarding Title II and Title III. An expert witness is a litigation consultant who has been declared an expert witness by a court of law. An expert witness is a person with special wisdom, proficiency, or understanding in a particular subject about which he/she is to bear witness. Testimony given by such a observer constitutes expert evidence or expert testimony. A person is not considered to be an Expert Witness, until they are declared as such by a court. This is why the term Litigation Consultant may be used by your Attorney initially. Who would need an Expert Witness? As an individual, if you think you have been discriminated against with respect to Title II or Title III of the ADA, you can contract with ADAIN to do a preliminary walk-through of the facility to see if there are obvious issues with ADA compliance suitable for litigation and a subsequent in-depth inspection. Some times Attorneys want to know if they have a defendable case before the process starts. ADAIN can review the issue and give you and your Attorney an informed opinion as to the merits of the case. For this type of work we require all available documents regarding the case and a preliminary walk-through of the facility may be completed as described above. As a business or property owner or tenant, if you have received a complaint from an individual or Attorney with respect to Title II or Title III of the ADA, you can contract with ADAIN to evaluate the complaint to determine if the complaint is valid, or to respond to the complaint. Otherwise, persons or companies who may need an expert witness may include those with particular issues related to either faulty or neglectful work done by a contractor or sub contractor, material men or supplier of services related to the construction of a building, or flawed or careless services provided by a building inspector, property manager, or real estate agent. If I have a problem with a Builder or Contractor what should I do? First and foremost contact an Attorney with experience in ADA matters for Title II for government buildings and/or Title III for commercial and public buildings. If you are working with a contractor do not terminate your contractor until advised to do so by your Attorney. Second keep an accurate record and timetable of all correspondence and the related subject matter. Keep calm and cool and try not to take the matter at hand personal, after all it is a business deal. Working with your Attorney, hire a qualified inspector to examine the work and all documents. What services can I expect from an Expert Witness? As an expert witness for ADA disputes, the ADAIN representative is commonly called on to complete an inspection of a facility to determine if the facility is or is not in compliance with common laws and regulations for ADA compliance. This inspection usually results in a Property Condition Report (PCR) that is presented to the legal counsel for the plaintiff or defendent, as applicable. The PCR identifies any discrepancy with the laws or regulations for ADA compliance and, if applicable, quotes the law or regulation from the respective source. In many cases this PCR provides clear evidence to both parties which results in a settlement for the dispute without going to trial. If necessary, the ADAIN representative can attend a deposition to answer questions about the PCR. Serving as a testifying expert witness, the ADAIN representative presents testimony in a helpful, comprehensive, and credible manner. The ADAIN representative is capable of withstanding rigorous cross-examination while maintaining independence and objectivity. If necessary, ADAIN will help identify and prepare other appropriate testifying witnesses. If your issues involve work done by a contractor, some of the services a litigation consultant and expert witness provides will depend on the type of case. These types of cases (complaints) include; defects or deficiencies, deviations from plans and specifications, punch list items not addressed, claims of lien, unacceptable delay, and warranty problems. An expert witness can review all of the contract documents, do a full evaluation of the property and render an opinion with written reports, pictures, calculate a dollar figure for cost to correct items, and testify in court. Litigation Consultant and expert witness fees are based on hourly rates plus travel and related expenses. Currently ADAIN charges $95 per hour plus expenses (travel, lodging, graphics, etc.). These fees are for non-court services, court services, or depositions. Depositions and Court work have a four hour minimum requirement. All litigation related work will normally require a retainer. The average retainer fee is 25% of the anticipated work/fee. In mediation, the ADAIN representative can serve as a neutral mediator and work with both parties to establish processes for proceedings, analyze submissions, preside over meetings, and present reasoned decisions. The neutral ADAIN representative then mediates to referee and help to resolve disputes. Working with legal counsel, the ADAIN consultant provides guidance and insight to clients navigating the complexities of disputes. If preferred, ADAIN can also assist counsel in selecting an arbitrator.